Mobile, Ala.— Mayor Stimpson signed an agreement today with Carnival Cruise Line that will extend the Carnival Fantasy’s stay in Mobile through November 2019. 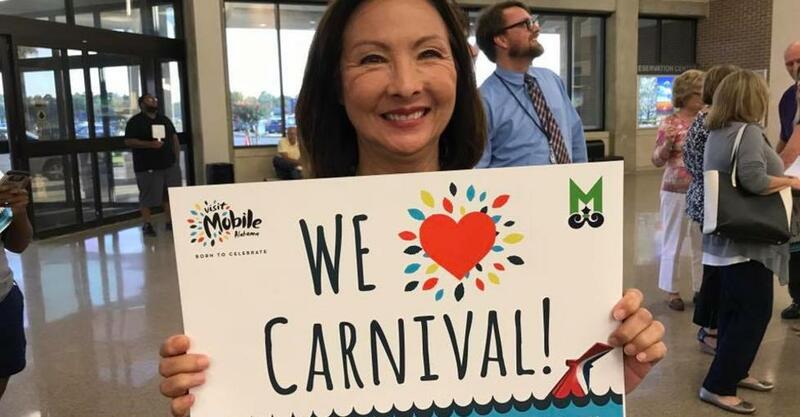 Carnival agreed to exercise the second extension which was part of the original agreement Mayor Stimpson negotiated in 2015. The agreement will be placed on the City Council agenda for approval as soon as possible. The City of Mobile Terminal has generated $6.5 million in revenue this year alone and is consistently ranked high in customer satisfaction ratings. On an average cruise day, the terminal disembarks and embarks over 2400 people, parks 540 cars, and the men and women of the International Longshoreman&apos;s Association offload over 20 tractor trailers of supplies and handle 9,000 pieces of luggage. All of this is accomplished in just 8 hours.